Our medical practice provides comprehensive, quality pediatric care in a friendly environment to infants, toddlers, children and teenagers until the age of 18 years. Pediatric Primary Care is our largest program. 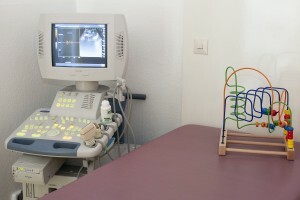 Children are seen for regular checkups, sick visits, routine vaccinations, and screening tests. Children are examined by the same team of doctors and nurses every time they come. This gives the doctor, nurse, child and parent the opportunity to get to know each other. Preventive care including well-child visits, immunizations, growth and development assessment, appropriate screening tests and counseling patients and parents on health and behavioral issues. Evaluation and management of children’s developmental issues, including learning disabilities and behavior problems using a comprehensive approach. One of the unique features of our practice is a quantitative laboratory method to measure CRP in blood within minutes, which allows us to distinguish between viral and bacterial infections to decide if your child needs an antibiotic or not.